EDGE Magazine recently released a list of the "best" consoles from the past twenty years. We definitely did not agree with their order of the consoles. The list did give us inspiration for our own article. "Hey, let's just take EDGE's idea and do it SuperPhillip Central-style!" That's exactly what we did. Many gaming platforms, both handheld and home, have been released in the past twenty years. Our list does its best to encompass our favorites and give our rationale as to why we have placed them where we have. From 1993 to 2013, here are our picks for the greatest gaming platforms to have released during that time. What are your favorites? The Dreamcast was an innovator in the online field, including a modem that was built into the system and allowing online play. One of the greatest titles available to play through the internet with friends was the fantastic Phantasy Star Online. The Dreamcast had a bounty of other brilliant titles, including the game that made cel-shading popular, Jet Grind Radio, Sonic Adventure 1 and 2, Skies of Arcadia, Power Stone 1 and 2, Crazy Taxi, Soulcalibur, Samba de Amigo, Shenmue, and many more. The Dreamcast was when Sega's internal studios seemingly could do no wrong. A system that was truly ahead of its time, Sega's swan song console, the Dreamcast, kicks off our countdown. 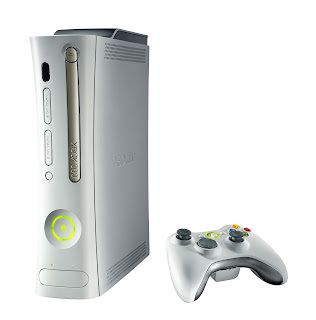 Microsoft's second attempt at taking marketshare from Sony was their Xbox 360. However, there are several things that hold the Xbox 360 from greatness. For one, the initial systems were all prone to overheating, leading to the infamous Red Ring of Death fiasco. Next, Microsoft's first-party studios do not hold a candle to those of its competitors. Third, while competitors had free online play, the Xbox 360 held online multiplayer behind a paywall, and you were still bombarded with ads. That said, the Xbox 360 pioneered achievements, brought forth the best online experience available on home consoles (though, as stated, for a price), and was a third-party paradise. While the Xbox 360 started off well with exclusives (games like Rare's output, Halo 3, Tales of Vesperia, Lost Odyssey, etc., Microsoft seemingly abandoned their target market with the appearance of Kinect, throwing scraps to the user base that made the Xbox 360 so successful. You can sort of see why we're not amazingly keen on the Xbox One yet, can't you? 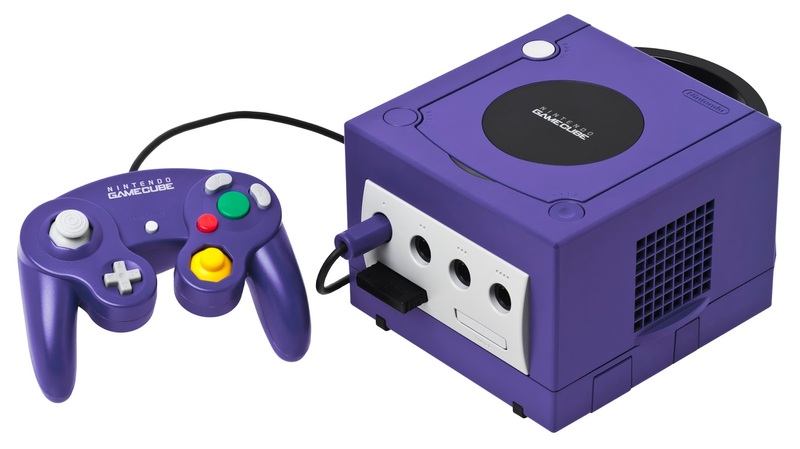 While obtaining the title of third place in the sixth generation of gaming consoles, coming a few million shy of Microsoft's Xbox, Nintendo's GameCube was still highly profitable for the company. That said, the GameCube was a fantastic little system that actually started out with a grand amount of third-party support, even getting some exclusives from Capcom in the form of many Resident Evil titles and the then-exclusive Capcom Five. It also gained support from Sega who put longtime rival to Mario, Sonic the Hedgehog, on a Nintendo system for the first time ever. Nintendo's output wasn't too shabby. Sure, we don't really care for Super Mario Sunshine (but we do appreciate its willingness to change up the gameplay by a good margin), Nintendo gave us The Legend of Zelda: The Wind Waker, Super Smash Bros. Melee, Metroid Prime 1 and 2, Mario Kart: Double Dash! !, and F-Zero GX. The publisher also delivered new franchises such as Shigeru Miyamoto's Pikmin, Custom Robo, Animal Crossing (for the first time in the West at least), Chibi Robo, and more. The Nintendo GameCube might have been the only sixth generation home console without a dedicated online system, and third-parties might have shied away from the system later in its life, but overall, the system is a remarkable reminder of Nintendo making a system that competed in power with its competition. 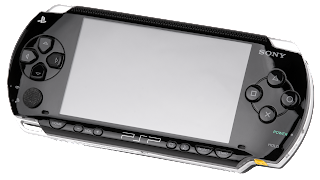 Despite being outsold by the Nintendo DS, the PlayStation Portable, Sony's first foray into handheld gaming sold a respectable amount. It's an amount that many platforms would love to reach worldwide. There's a good reason for it selling well, too. It had the games that appealed to many. Well, mostly pirates in the West, but what are you gonna do. 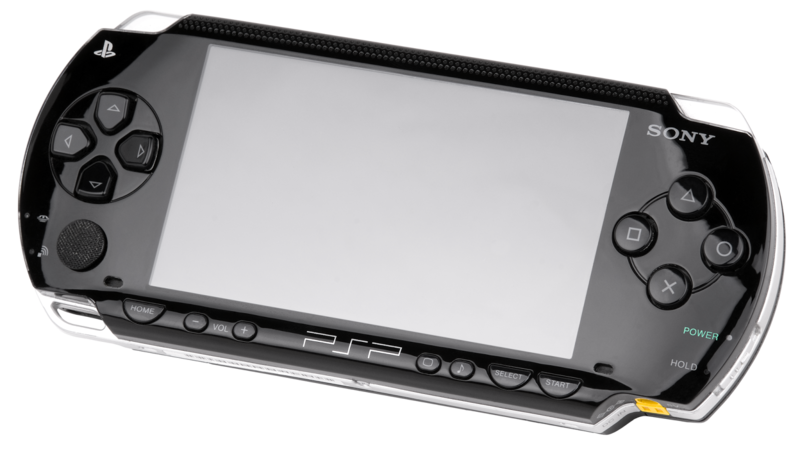 Regardless, the PSP had an abundance of titles in many genres, featuring many classic and all-new series. For classics you had Final Fantasy, Ratchet & Clank, Mega Man, Sonic the Hedgehog, Star Ocean, Tactics Ogre, Metal Gear, God of War, Hot Shots Golf, Kingdom Hearts, Ys, and the list goes on. All-new series that either debuted that generation or exclusively on PSP included LittleBigPlanet, Resistance, Patapon, Jeanne D'Arc, Gods Eater, LocoRoco, and the one that made the system do extremely well in Japan, Monster Hunter. Some claim the PSP's lineup is made up of a variety of ports, but as you can see, there's tons of original content, one of the greatest collections of RPGs on any platform in the seventh generation of systems, and games aplenty to play. The Nintendo 64 isolated a lot of third-parties from Nintendo due to its continued reliance on expensive cartridges. That notwithstanding, the Nintendo 64, all droughts disregarded, delivered some of the most memorable games of all time. Nintendo and Rare's relationship was never better, and this allowed said droughts to not occur as often. Games like Banjo-Kazooie, GoldenEye 007 (which made it clear that first-person shooters could work somewhere besides PCs), Perfect Dark, Jet Force Gemini, Blast Corps, Conker's Bad Fur Day, Diddy Kong Racing, Donkey Kong 64, among others. 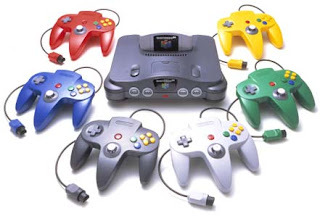 The Nintendo 64 was also a local multiplayer fan's dream come true, offering four controller inputs for games like Mario Kart 64, Diddy Kong Racing, Bomberman 64, Mario Golf, Star Fox 64, Super Smash Bros., GoldenEye 007, and a load of other titles. The Nintendo 64 gave us some of our most cherished gaming memories, and it delivered some spectacular titles, showed how 3D gaming should work with iterations of Super Mario and The Legend of Zelda transferring well into three-dimensions splendidly. It was a choice of getting in or getting out, and we definitely were happy to get in with the Nintendo 64. Many third-parties abandoned the Nintendo ship when the company revealed it would be using cartridges for its new system. These companies flocked to Sony's new machine, the PlayStation. Without a doubt the most varied software lineup for the fifth generation of gaming consoles, the PlayStation possessed games from a multitude of genres, platformers with games like Crash Bandicoot, Spyro the Dragon, Tomba!, and Mega Man; a paradise of RPGs with games like Final Fantasy VII, Chrono Cross, Xenogears, Final Fantasy Tactics, Dragon Warrior VII, and Star Ocean: The Second Story; and a myriad of other genres. As stated many companies abandoned ship with Nintendo, and their series followed. Capcom gave Sony Mega Man and created an all-new series called Resident Evil. Squaresoft gave PlayStation owners Final Fantasy and the sequel to Chrono Trigger. Konami introduced the Metal Gear series to Sony console owners with Metal Gear Solid. All-in-all, the original PlayStation was a tremendous way for Sony to enter the gaming console market space, containing games for the widest audience possible. There is no denying the impact of this next console. 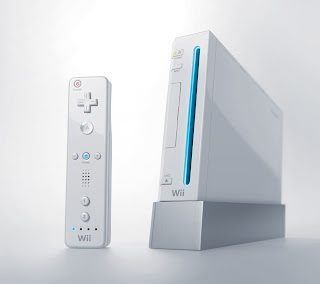 The Wii introduced millions of new gamers across the world to our hobby, and contrary to popular belief, most Wii owners continued to purchase games other than Wii Sports. Just look at attach ratios for proof. Regardless, competing against the HD twins that shared a lot of games with one another, the Wii had a much more varied lineup of titles. Sure, it still had the shooter genre represented, but the main draw of the Wii was Nintendo's own software, which featured some of the company's best efforts. Super Mario Galaxy 1 and 2 are easily some of the best games ever created. The Legend of Zelda: Skyward Sword introduced competent motion controls for combat, justifying their use totally. Mario Kart Wii sold incredible amounts, New Super Mario Bros. Wii brought cooperative multiplayer to 2D Mario, Super Smash Bros. Brawl was a love letter to Nintendo fans, Punch-Out!! was a beaut to look at and play, Donkey Kong Country Returns made us giddy with excitement, and Metroid Prime 3: Corruption showed us that pointing and shooting with the Wii Remote was much better (to us) than old dual analog controls. In addition to all of the games both popular and overlooked, Nintendo implemented a Virtual Console, a collection of retro titles from the original NES to the Nintendo 64. The Wii deserved its sales without a doubt, as it had the games, it had the content, and it had titles that appealed to everyone. 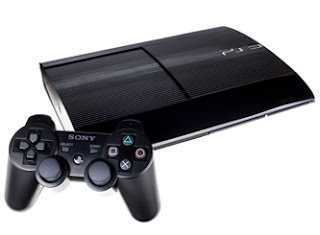 Our favorite console of the seventh generation of the video game console cycle, the PlayStation 3 had a very rocky start. A price announcement of five hundred and ninety-nine dollars will do that to a system. Despite this, the PlayStation 3 has eventually gone on to become a must-have system for any self-respecting gamer. This generation alone Sony's first-party studios have turned the dial up to 11 in their output, creating many new IPs like Resistance, LittleBigPlanet, Uncharted, The Last of Us, and inFamous. They also continued support for past franchises, like Ratchet & Clank, God of War, Killzone, Twisted Metal, and Sly Cooper. Third-party support was excellent as well, giving the majority of the same games that the Xbox 360 received. Then, there's the online, allowing players to freely play multiplayer with friends and total strangers. With the optional PlayStation Plus, Sony has delivered an amazing value by giving subscribers cloud storage and free digital games every month. Is it any wonder why the PlayStation 3 is our favorite current gen console? It's purely coincidental that the top two systems on our list are also the best-selling ones of all time. Nonetheless, that isn't our reason for picking both of them. In the case of the Nintendo DS, it contained some of the greatest games we've ever played. It also has an immensely varied library, offering platformers, RPGs, action games, puzzle games, sports, and more. The addition of two screens, with the second being a touch screen, was ingenious, and gave us many wonderful gameplay sessions. This was used to great benefit in games like Kirby Canvas Curse, Yoshi Touch and Go, both Legend of Zelda games, Soul Bubbles, Metroid Prime Hunters, Meteos, or used as something as simple as a map in Mario Kart DS. 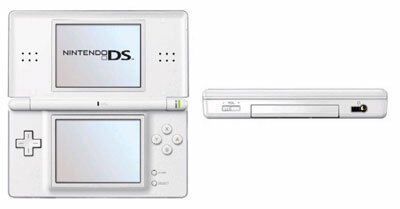 The Nintendo DS gained a lot of third-party support, bringing their heavy hitters to the system. The handheld was also Nintendo's first (read: archaic) attempt at an online infrastructure of some type. Despite the method being a headache, we cannot help but still love the Nintendo DS, purely for its amount of fantastic software for both beginning gamers and veterans to our hobby. The greatest console released in the past twenty years might not surprise you. 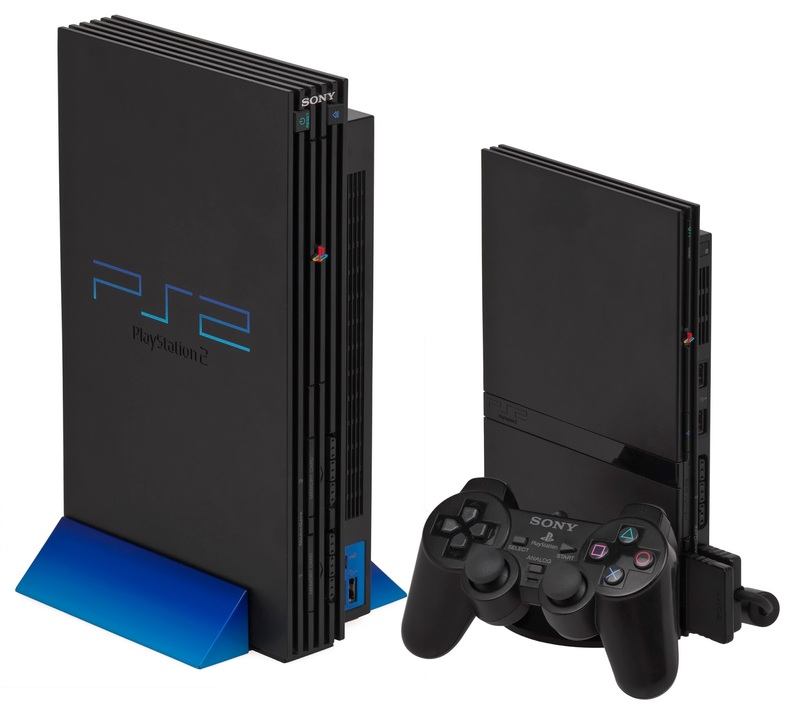 It's the PlayStation 2, a console which sales made its competition look like student films in comparison. It also possessed a hugely diverse lineup of software. The system had everything-- epic RPGs like Final Fantasy X, Dragon Quest VIII, Star Ocean: Till the End of Time, and more; platformers like Ratchet & Clank, Jak and Daxter, and Sly Cooper; action games like God of War, Shadow of the Colossus, Onimusha, and Devil May Cry; and sports games like Madden, Hot Shots Golf Fore!, Sega Soccer Slam, and FIFA. The system gained hallmark titles like Grand Theft Auto III, Gran Turismo 3, and the aforementioned God of War. To say that the PlayStation 2 was popular would be an understatement. Its successor has been out for years, yet the PS2 is still receiving new games. It's a system that just won't call it quits, and frankly, it doesn't need or have to. It deserves to have as much time in the sun as possible. It's that masterful of a system.